Tenerife is the most extensive island of the Canary archipelago and the most populated of Spain (almost 900,000 inhabitants). 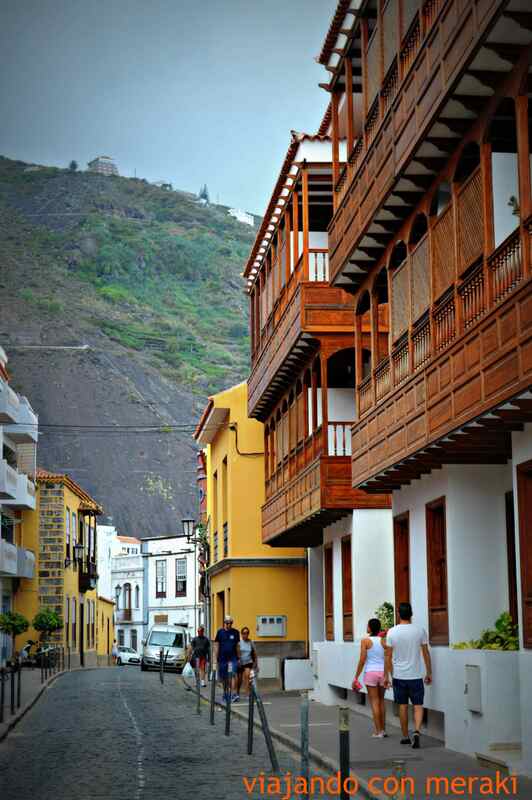 Its capital, Santa Cruz de Tenerife, is also the only capital of the Canarian archipelago. It is crossed by a mountain range, in whose center a gigantic volcanic formation rises located on an ancient and enormous depression. 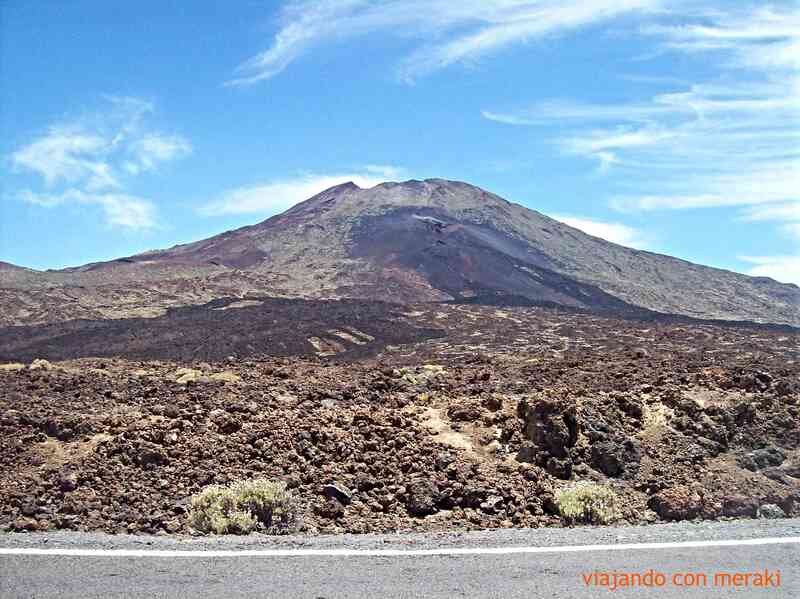 To the North of the same, to 3.718 meters on the sea, the Pico del Teide rises, volcano settled on an extensive and ancient volcanic caldera, called Las Cañadas, in which the volcanic cones and the lava flows form one of the landscapes most exceptional that can be contemplated. This extreme and fascinating landscape is located within a magnificent Natural Park that impresses with its landscapes and contrasts, especially in winter, when we can appreciate the snow-capped peaks along with valleys of exuberant fertility. For all these climatic and geological factors, it is not a surprise that the island offers a unique and varied flora, with large and leafy mountains, extensive valleys with plantations of bananas and tomatoes, and fields flooded with poinsettia in spring. Also its coast presents beautiful cliffs, contrasting with soft beaches of fine sand, black or gold. Thanks to its strategic location, the Canary Islands usually have good weather throughout the year. While it is true that during the summer it is a bit warmer and good weather is practically assured, during the winter it is possible that it will be worse. I have experienced the sharp differences in climate that may exist between the north and the south of the same island, so if I had a choice, I would always try to choose an accommodation in the south of the islands, to try to ensure that I will have good weather the whole stay. Generally, on the same day it may be windy and cold in the north and make a good day in the south. 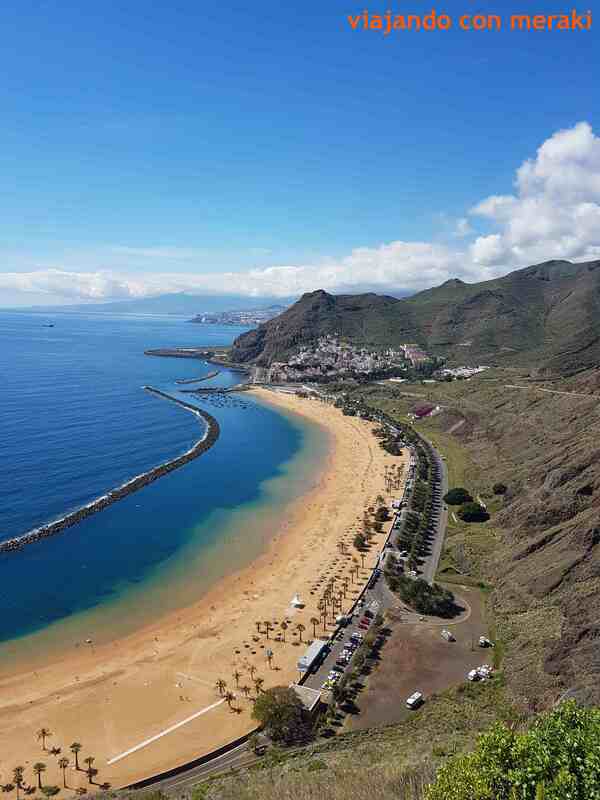 Personally, the best time to travel to the Canary Islands would be from October to May. The summer months are going to be good weather all over Europe, so I prefer to run away from the cold during the winter. It is true that December is high season, and everyone wants to spend Christmas here, but outside that date the prices are quite good, the occupation is not high and you will probably have a very pleasant time. HOW MANY DAYS TO VISIT TENERIFE? As I said before, Tenerife is the largest island in the archipelago and also, it is the one that offers a greater variety of tourist offer, so if you want to discover at least the 10 essentials of the island, I recommend a week stay. You could do it in 5 days, but it would be to go with the tongue out and without enjoying. 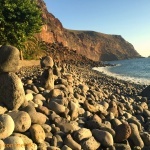 Here is my guide to know what to see and what to do in Tenerife during your trip with my personal recommendations. The island has the Teide National Park, cataloged by UNESCO as a World Heritage Site, which is the most visited in Spain and one of the most visited in the world. It is the the maximum elevation of Spain, with 3718 meters, and third largest volcano in the world from its base in the ocean floor, the Teide. This national park is one of the favorite destinations for mountaineering enthusiasts, it has hundreds of routes for all levels that will make you discover the incredible nature of this island. 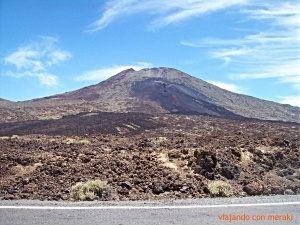 To climb the Teide we have two options, walking or on the cable car. The cable car is located in the Teide National Park at a height of 2356 meters and is accessible by road. It opens at 9:00 and is in operation until 4:50 pm, the hour in which the last descent takes place. The price of this one is € 27 for adults and € 13,50 for minors (round trip). In the case that we want to climb the peak of Teide walking the ideal is to do it by the route that begins in Montaña Blanca (White Mountain). The route has a high difficulty, its length is 10 km and lasts six and a half hours. If we want to spend the night on the road, we can do it at Altavista Refuge, but for that we’ll have to book well in advance. Spending the night in the refuge is a great option to enjoy a night watching the stars as we have never done before. Attention: To get to the peak of Mount Teide you must ask for a permit (free of charge), which I recommend you ask in advance to make sure you get place. It is also allowed to climb the Pico del Teide before the cable car opens at 9 o’clock in the morning. In the same Teide National Park, about 2390 meters high, we can find the Teide Observatory, one of the most important in Europe and with a visitor center for those interested in astronomy. For the nostalgics, if we remember that bill of 1000 pesetas, we can recognize the image of Roque Cinchado with Teide in the background. This white sand beach located in Santa Cruz de Tenerife is one of the main tourist destinations of the island. It is a beach that originally had black sand, but in 1973 it was rebuilt using sand imported from the Sahara desert. This beach has many bars and is ideal to go with children, since the beach has a breakwater that makes this beach a great pool perfect for family. This beach is far from the center of Santa Cruz, so we recommend going by car or bus (guagua as they call it). 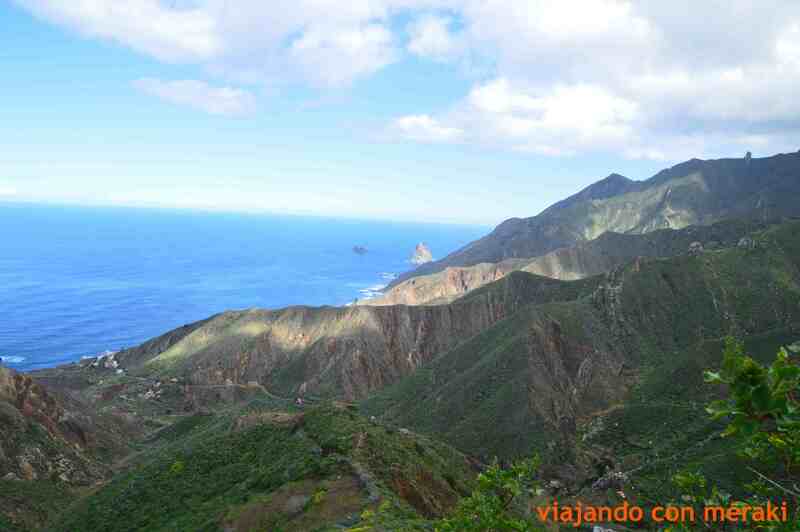 The Cliff of the Giants is one of the most spectacular landscapes of the Canary Islands. In the Guanche era (the first inhabitants of Tenerife) it was known as “The Wall of Hell”, since the height of the walls of this cliff reach up to 600 meters and at their feet reach 30 meters deep. It is a spectacular site if you are a scuba diver. To enjoy Los Gigantes, we recommend doing some of the kayak excursions (for example with Teno Activo), with a dip to see the seabed included. Another activity that you can not miss is the excursion to see the dolphins and whales that are in front of Los Gigantes. To do this, all you have to do is to go to the port of Los Gigantes, where you will find a dozen boats offering different excursions. The best time for this sighting is in the spring, but practically throughout the year you will see some great mammal. The point from which we have the best panoramic view of the Giants is Punta de Teno. His road was opened this June 2015 after almost 2 years closed to the public. From the same we also have spectacular views of La Gomera and the sunset. Here we also have a beach to swim and dive. Without any doubt, one of the most beautiful places on the island, it will leave you breathless. We recommend you to take a walk through the town and enjoy a good meal in one of the terraces. I have read good recommendations of Casa Riquelme, a place with charm in which Riquelme himself will make you feel at home (although I have to confess that I have not tried yet). They recommend to call to book, since you risk to stay without being able to enjoy this magical place. If you are good mountain goats like us, I recommend you to do the Barranco de Masca route, undoubtedly one of the most beautiful on the island. 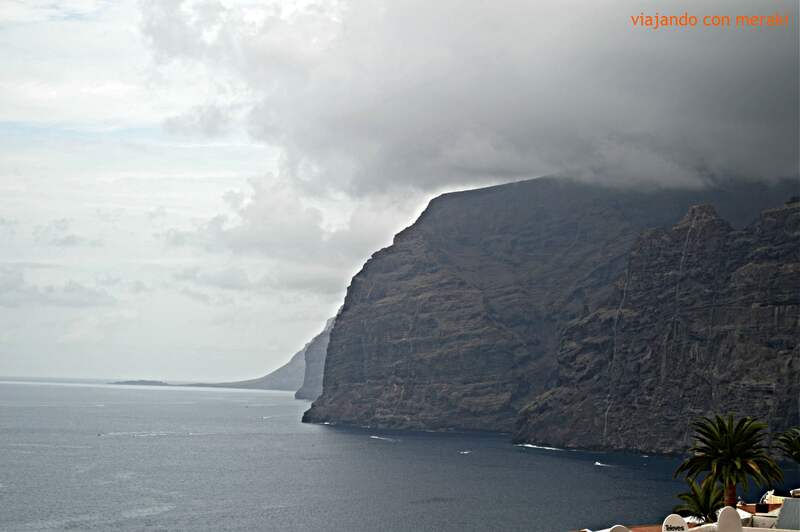 At the end of the route, you will arrive at a beach where you have to take a boat that will take you to Los Gigantes. To get this boat I recommend buying the ticket in the town, although there are usually people who sell them on the beach. 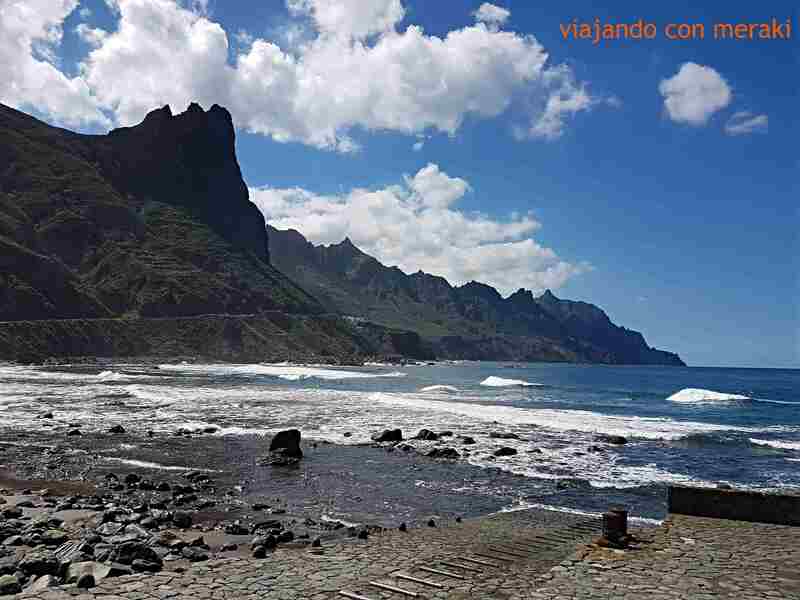 If you go by car, leave it parked in Masca and return by bus from Los Gigantes. It is considered the most beautiful town on the island. More than half of its territory is covered by Canary pine, volcanic landscape and an ancient cliff that separates the historic center from the mediocrities. Garachico has a rich architectural heritage of the sixteenth and seventeenth centuries very well preserved, so it was declared of Cultural Interest in 1994. It also has the title of Villa and Port, granted by King Alfonso XIII in 1916. In the area of coast of this municipality there are extensive farms dedicated to the cultivation of banana, while in midlands there is a self-consumption agriculture with small properties. It also has a marina recently built next to the historic center, which coexists with beaches of callaos and black sand and small cliffs. Noteworthy are the natural pools of El Caletón, one of the most popular bathing areas, and the imposing rock that rises off its coast. After the conquest of Tenerife, Garachico became the main fishing and commercial port of the island until a volcanic eruption destroyed it. This golden age attracted numerous families of great influence, which was reflected in the layout of its streets and the architecture of its buildings. From Garachico part of a medium-high level trail whose route ends at the Chinyero volcano. This route ascends along the road from El Lance to San Juan del Reparo, crossing a spectacular landscape of volcanic lava flows until reaching the recreational area of ​​Arenas Negras. During the five hours of this trekking route highlights the centennial pine of Cha Lorenza, the views of El Teide and the viewpoint from which you can see the south face of Chinyero. Here I recommend eating at Las Cucharitas Restaurant. The grilled meat is to die for. 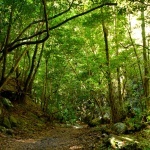 The Anaga Rural Park is a protected natural space located in the Anaga Massif, to the north of the island, which due to its natural and ethnographic wealth was declared a Biosphere Reserve in 2015. 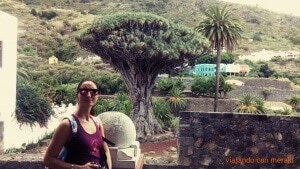 It is also the place that has the largest amount of endemic species in Europe. Any of its viewpoints will give you magnificent views. 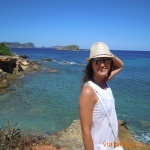 I recommend you to follow your way to the spectacular beach of Benijo (although all of the area is beautiful), with little beach-front beach that offer good cuisine. The guachinches give us the possibility to eat the most typical Canarian dishes in a homely atmosphere like none. It will allow you to know in depth the island and its customs. Originally the guachinches came to help wine growers to sell their wine, accompanying the wine of some tapas (let’s say it is like the Galician furanchos). This custom was evolving until today, in which the guachinches have expanded their spaces and their dishes. The guachinches are distributed mostly in the north of Tenerife, but if you’ve never gone to any, it will be difficult to find one, that’s why you can install the application Guachapp, because with it we can decide between a large amount of them, see their locations and the opinions of the people. In the event that it becomes difficult to choose, the most recommended are El Bullicio, La Salud, Los Gomez, El Fonil or Charillo. One of the things that most surprises tourists is the price of these places, because for about eight euros, you can enjoy a delicious meal and generous amounts of wine. At the time of order, we recommend trying the scallop, “ropa vieja”, the wrinkled potatoes with mojo, the meat in celebration and the garbanzas. 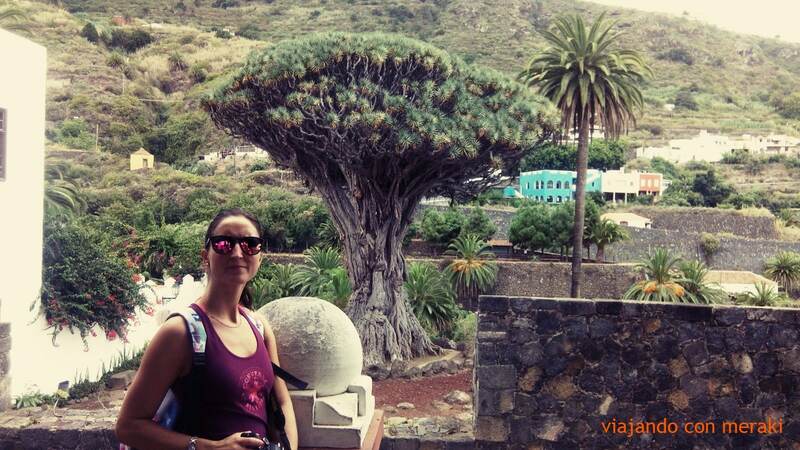 The municipality of Icod de los Vinos, located in the northwest of Tenerife, is the home of the Millenary Drago (Dracaena draco), declared a National Monument in 1917 and to which approximately 800 years of age are attributed. 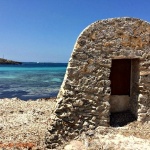 On its coast, San Marcos beach and Cueva del Viento stand out. 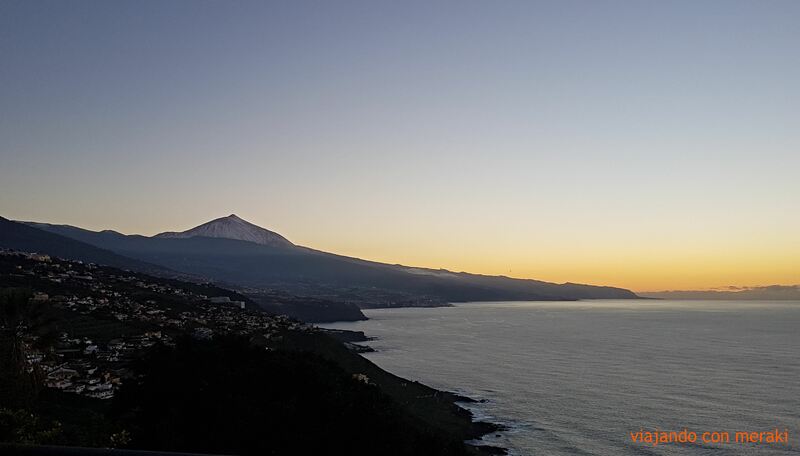 In addition, from Icod de los Vinos you can see one of the best views of Teide, the highest peak in Spain. The economy of the municipality is traditionally based on the cultivation of the vine and fishing, which can be seen in its cuisine: potatoes with mojo and salted fish, grilled meats, wines or artisan cheeses. The historic and artistic heritage of its old town is another of the most appreciated points by those who visit this municipality. This majestic valley, whose beauty and exceptional climate have attracted for centuries the interest of natural scientists from all corners of the world, also hosted the birth of tourism in Tenerife. In the past, his visit required a long and painful journey on horseback from the port of Santa Cruz or from Garachico. Today, the modern highway of the north (TF-5) is the road to get to the also known as Jardín del Teide. To enjoy one of the best views of the valley and its municipalities of La Orotava, Los Realejos and Puerto de la Cruz, it is advisable to reach the Humboldt viewpoint on the TF-211 road. A visit to the Valley of the Orotava can not do without a walk through the historic center of the city that gives it its name. The Villa de La Orotava preserves one of the best examples of civil and religious architecture in the Canary Islands. The richness and diversity of this historical heritage has deserved that its historic center be considered an Artistic Historic Site by the Central Government and due to its architectural richness “Inventory of Protection of European Cultural Heritage”. There are so many and so attractive buildings of interest that it is most appropriate to walk through its cobbled streets and enter the interior of those that are open to the public, from churches to museums, shops and official centers. 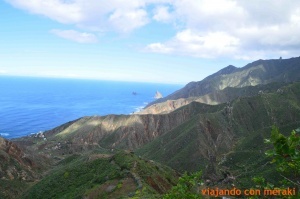 From the viewpoint of the Lance, on the road that leads to Icod del Alto, already in the municipality of Los Realejos, the panoramic view of the coast is excellent. Los Realejos combines its agricultural and festive tradition with the beauty of its natural landscapes. Very close to the coast, the Rambla de Castro is one of the most enchanting natural sites, a magnificent setting for hiking and other nature activities. The nearby Socorro beach, the ideal place for surfing, is also a good option for a swim. In this area I recommend you eat (or snack in my case) at the Rico Rico Restaurant. We came for coffee and have a huge variety of homemade cakes… delicious. They have a covered terrace with lovely views over the sea. -Bollullo, Ancon and Los Patos. 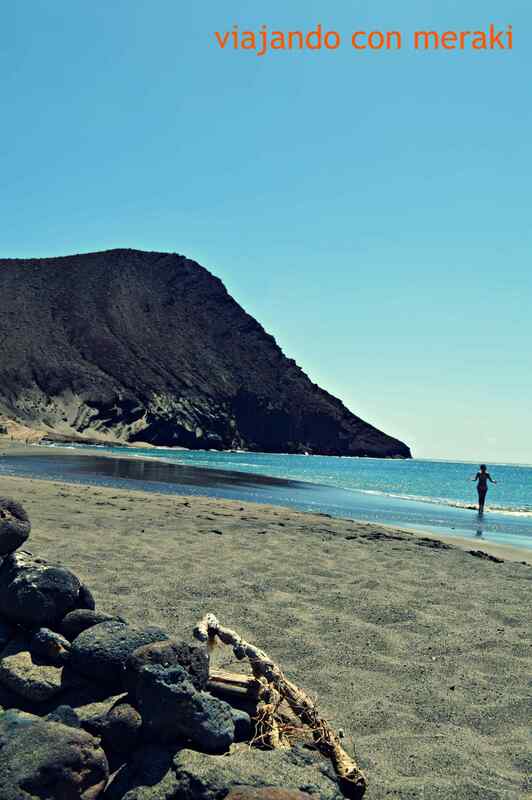 These three black sand beaches located in the Orotava Valley, are some of the most beautiful beaches in all of Tenerife. They are three beaches with a natural charm that catches you. The first one, El Bollullo, is the only one that has a bar where we can buy something to eat or drink, so if you plan to go to one of the other two, we recommend bringing enough water and food to spend the day. -Playa de la tejita. This is one of my favorites although it is usually windy. 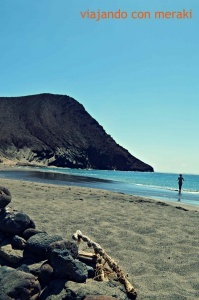 It is located in El Médano, next to the volcanic cone of Montaña Roja, the area is classified as a protected natural area (Montaña Roja special nature reserve), so access by car to the beach is not authorized. However, there are some car parks next to the El Médano-Los Abrigos road with several roads that lead directly to the beach. The journey by foot only lasts about ten minutes. In the Médano I recommend another place to eat or snack where the salads are delicious but even more desserts, with homemade crepes with all kinds of accompaniments: Creperia La Boheme. -Playa de Masca. This beach can only be reached after the excursion that I mentioned in point 4. -Near the beach of Benijo also are the one of Almaciga and Fabián, of similar characteristics and beauty.